Founded in 1999 by Jim Branch for the purpose of providing a brokerage and timberland investment services for clients wishing to invest in or sell timberland and large agricultural tracts. We have proven investment performance with high net worth individuals and family offices and manage over 40 thousand acres under management. We provide personalized attention with the ability to cater to the specific needs of each individual client. Our extensive knowledge of the local markets for timberland and agriculture not only helps us in purchasing properties for our clients, it also allows us to strategically plan timber harvests and lease to reputable farmers. Providing personal attention is very important to us. We are committed to insuring that, through prudent management, each client’s individual needs are met. We design each inventory analysis to fit the individual property and meet the landowner’s objectives. Achieving optimal timing for timber sales is important not only for proper forest management, but also to maximize returns for landowners. We plan our timber sales very carefully in order to achieve these objectives. 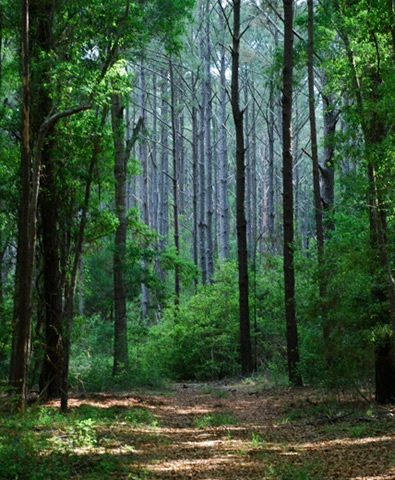 When conducting a timber sale, our primary goal is to receive the highest possible price for the timber while protecting the integrity of the property and preserving its long-term management options. We market timber only to reputable timber buyers and oversee every aspect of the sale including timber marking, flagging property boundaries, contract compliance, and post-harvest clean up. We believe it is important to map out timber sale areas using existing maps or creating a new timber type map, along with delineating the property lines and sale areas. Our timber sales contracts stipulate all terms and conditions of the sale, and are custom tailored to each sale. All timber sales are designed to protect the site productivity and water quality following Best Management Practices (BMPs). Controlled burning is an essential element for pine and wildlife management programs. Not only does regular fire increase habitat for deer and turkey, but it also improves habitat for small mammals and birds as well. Burning performs several vital functions including removing accumulated litter, stimulating new growth, and controlling unwanted vegetation. A good burning program starts with compartmentalizing the property. This is where parts of the property are burned each year, but the entire property is never burned at once. Following this regime allows for more manageable burning efforts, provides unburned habitat for wildlife, and promotes better habitat than broadcast burning. We can handle all aspects of prescribed burning from firebreak installation to lighting the fire. We can assist with herbaceous weed control and elimination of undesirable woody species within plantations. This can be achieved with aerial or ground application depending on the site. Machine and hand planting – Pine and hardwoods. A well-written Forest Management Plan is important to identify landowner objectives as well as the steps and timeline to achieve them. Our detailed management plans include descriptions of each stand, with a timber type map, aerial map, recommended thinning regimes, expected harvest results, and returns associated with the timberland portion of the landholding. We provide a flexible guide to assist the landowner in reaching management objectives including wildlife management, soil and water conservation, enhancement of aesthetics, and Conservation Easement compliance. We can guide landowners through the complicated conservation easement process. This includes engaging an attorney, a CPA firm, geotechnical experts, geologists, wildlife biologists, appraisers and surveyors on behalf of the landowners, and also identify a land trust to take responsibility for the grant of Conservation Easement. The administrative terms of the Conservation Easement may also vary pursuant to negotiations with the land trust, and the principal purpose of those terms is to enable landowners and the land trust to achieve mutual conservation objectives while keeping the land in the ownership and control of landowners for uses consistent with the conservation objectives. This report is required by the IRS and documents the condition and conservation values of the property at the time a Conservation Easement is granted.